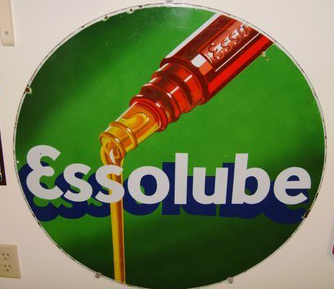 At 30″ this Essolube Green round sign has mounting holes around the edge. The sign has white text that reads “Essolube” with a navy blue drop shadow. There is Gasoline pouring in the background contrasted by the dark green color.